I am sure you all know the sweet Linda from, and her blog Craftaholic Anonymous. There are so many great projects and tutorials on her blog you are sure to never run out of great craft ideas ! 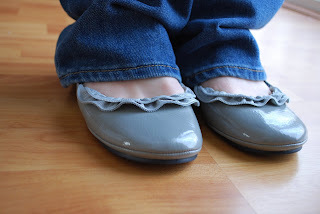 and how sweet are those zipper ruffle ballet flats !?! She also has an Etsy store The Ruffled Begonia and I have been lucky enough to be picked as a pattern tester for it. Remember the lovely ruffles of the Layla handbag ? 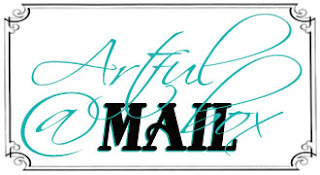 - Mandatory entry : be a Google Friend Connect follower of Artfully Caroline and leave a comment on this post telling me what you would love as a present for your next birthday and which of Linda's pattern you would pick out. This giveaway will run from today until Tuesday May 24th at 10PM EST. The winner will be picked out with random.org and announced the next day. I am followerer and I would love the pattern for the purse, bt I also like the apron too! Who doesn't love ruffles? I know follow the craftaholics anonymous blog! I would love the Summer Love ruffled nursing cover - it's beautiful! For my birthday, I'm hoping for a new camera lens (24-70). I follow the Craftaholics Anonymous blog. I follow Craftaholics Anonymous on facebook, too! 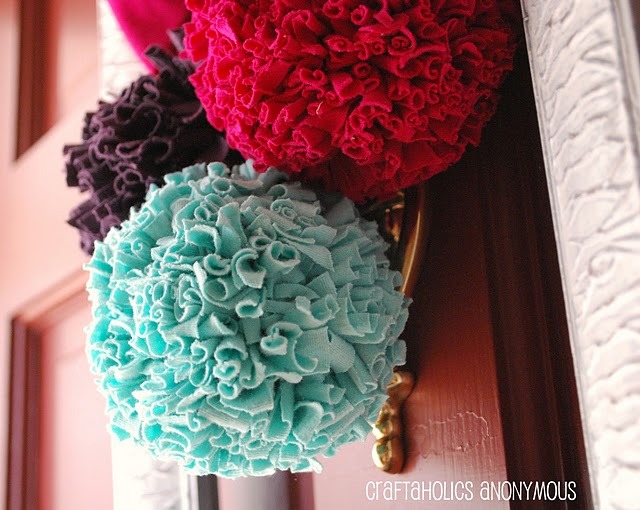 For my birthday I'd love PAINT for my kitchen and LOVE the ruffled purse pattern at the Ruffled Begonia Etsy shop! I LIKE A.C. on FB! already following you. i like ruffle on layla handbag.. cute!